Colombia attracts you by the diversity of its geography, gastronomy and people. Moreover, competition cycling is largely practiced, meeting cyclists almost everyday on main roads. So people are used to see bicycles, but they are less used to see foreigners on the road though. Apart from a few touristic bubbles, tourism is more or less new since things have calm down since a few years. Faces will easily turn to look at you, people won’t hesitate to greet you, to ask you thousands of questions and even stop their motorcycle on the side of the road to talk to you. The majority of the population isn’t only around the capital, Bogotá. There are many good sized cities along the road. Regions are quite distinct from each other, convincing you to stop often along the way, and after a curve on the road the accent will change, food will have slight differences, and you’ll be told that “here, it’s the best place in the best country”. It’s hard to take off the Colombian proudness from a Colombian. Cyclist missing calories will be pleased in Colombia: eating fried things is not a problem. First by this typical chicken that you can find all around since Central America, but also by those delicious empanadas, a kind of half-moon fried pastry filled with vegetables, chicken or beef. Small stands selling them are all around, and there is nothing better to fill a corner of the stomach by taking a break between two meals. In Colombia, people eat a lot at lunch time and little in the evening. So little that finding a restaurant serving dinner can be sometime hard. You have then to take advantage of the almuerzo, generally composed of a sancocho, a soup where you find in the broth potatoes, yucca, strange carrots and a piece of bone with a little bit of meat around. It’s actually the cuts of the meat from the main meal, served in the typical rice and frijoles, and often a plantain banana. With a very reasonable price, it doesn’t give you the idea to cook something by yourself. Stopping in a restaurant where there is a lot of parked truck driver is generally a sign of cheap and good stuff. And those who are sick of the oatmeal or bread and jam (peanut butter is hard to find!) and want to double the experience, about the same thing is served for breakfast. Exit the tortilla, it’s now called arepa. It’s thicker, cruchy on the outside and tender in the inside. There are smaller and bigger, and the latest are served with cheese, meat, or todo, everything what’s available around. An other Colombian delicacy for the stomach: bakeries. There is a lot of variety to choose from, as much for the salty as the sweat stuff. 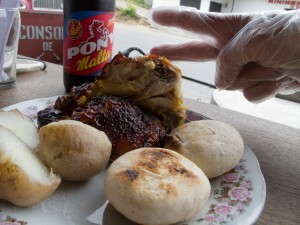 I am already missing pan de bono and other breads made with cheese in the flour. In good-sized town, there are bakeries at almost every corner. In smaller town, got to make do with the cafetería, which will have less variety, but will generally have empanadas as well. And I haven’t talk about coffee yet! Black coffee is called tinto. The first time someone offered me a tinto, I thought that he wanted to offer me red wine (vino tinto in Spanish), and I was surprised to see a coffee coming! Wine will wait to Argentina probably, and long life to coffee! Depending of the region, sugar is sometimes added by default, so it worth to precise sin azucar if it’s the case. Cycling country, there are many hosts that you can find on WarmShowers who are cyclist themselves and are keen on hosting travelers. CouchSurfing is also quite active in main cities. Even though the situation improved since the last ten years, there are still some risky zones in the country. Better to ask before camping and do it without being seen. And by asking, you might get invited! Otherwise, gas station (bomba) generally have 24 hours supervision and after a little chat with the employees, they’ll generally let you camp and use the bathroom. A basic hotel room can cost between 7 and 11$. I had the chance of being recommended to get hosted in a family in Medellín, whom after recommended me to other members of the family across the country. This rebound phenomenon is common from what I heard, and often I’ve been told: “I have a brother, an aunt, etc. living there, are you going by there?”. 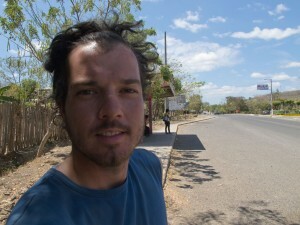 I was quite amazed be Colombian generosity, kindness and hospitality, rivaling with Costa Rica. The Panamerican highway is of varied quality. Climbing toward a pass on steep slopes won’t give you a large road with nice shoulder. But in the area known as the “Coffee Triangle”, around the cities of Manizales, Pereira and Armenia, roads are of quality I haven’t seen often, as well as in the Cauca Valley. Looking at the toll station, you’re happy to be on a bicycle, otherwise it would be expensive! On the right side of the toll station, a thin way let motorcycles and bicycles go for free. With my obsession of leaving the main roads from time to time, I was able to explore on small roads the mountains cut by deep valley in Caldas (north of Manizales), where are sitted on top of the mountains colonial-time small towns. 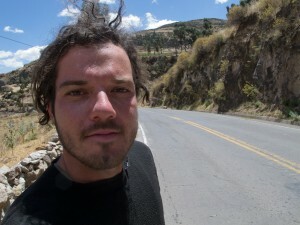 Leaving Cali, I followed the Cauca on a secondary road, to finally climb on a dirt road. 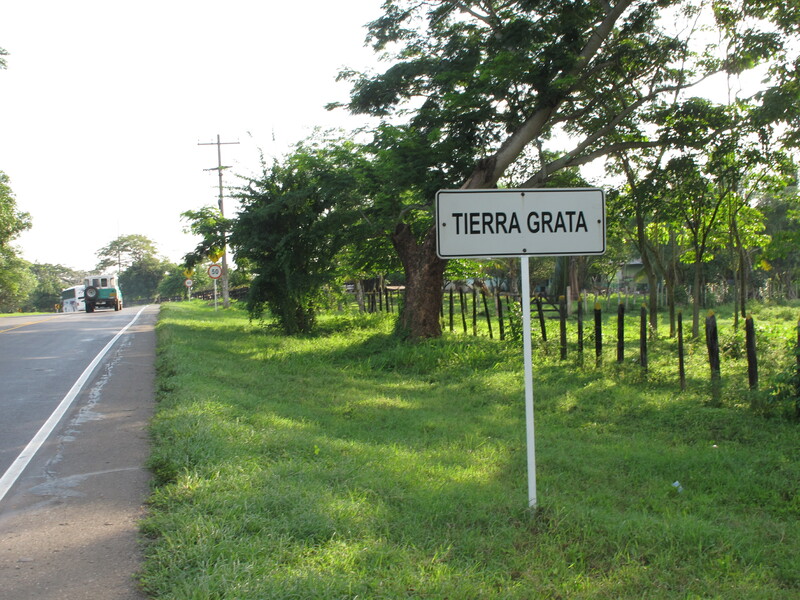 I also crossed the Continental Divide after Pasto to go down the Amazon Basin, passing by Sidunboy Valley, toward the border with Equator. It wasn’t an easy road, as much as for going up as for going down. Down here are shown three maps of those “non-panamerican” trip. To see Colombia pictures album, click here! This entry was posted in 10. Colombia, Tech. 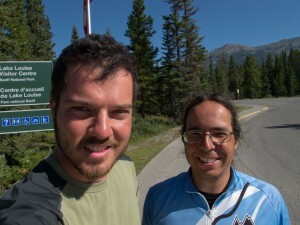 by CycloExpedition Americas. Bookmark the permalink.